We have seen former Indian skipper Mahendra Singh Dhoni's life unfold on the celluloid when the movie, MS Dhoni: The Untold Story. But, let us admit that the Sushant Singh Rajput starrer did not do full justice to the legend that is Mahi. Well, a new docudrama series looks like the thing that had been missing from the lives of his fans. A trailer of the upcoming Hotstar series, Roar of the Lion, has been released by the OTT platform. The really short trailer manages to generate interest right off the bat. Well, if teaser starts with MS Dhoni addressing the whole match-fixing scandal, you know things are going to get spicy. Never Underestimate Importance of Mahendra Singh Dhoni, Says Michael Clarke After Australia Beat India in ODI Series. The first trailer was shared by Salman Khan, who like a true-blue fan of cricket, seems very excited for Roar of the Lion. While sharing the video on his Twitter handle, he wrote, "Sure shot blockbuster! Go watch #RoarOfTheLion now! Congratulations," ESPN World Fame 100 List: Virat Kohli, Mahendra Singh Dhoni Among 9 Indian Athletes Featured in the List. 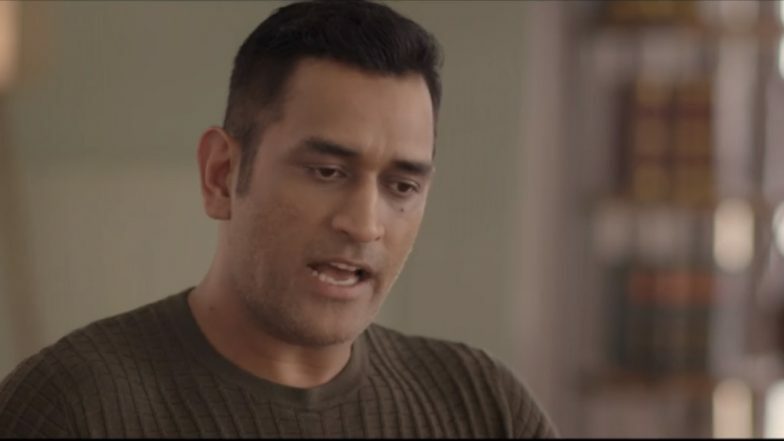 The trailer opens with Mahi saying, "The biggest crime that I could commit is not murder, it is actually match-fixing," Right then a text on the screen reminds the audience of the ban of two years. CSK, the Chennai franchise of the IPL, had served a two-year ban for its management’s role in the 2013 spot-fixing scandal. "Fans felt that the punishment was harsh. Coming back was an emotional moment," he adds.